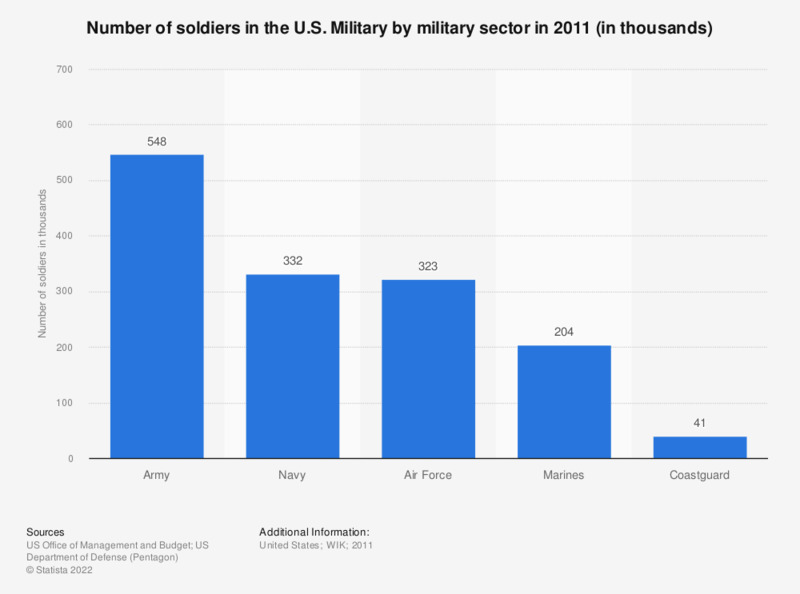 This statistic shows the number of soldiers in the U.S. Military by military sector. The U.S. Army consists of 548,000 soldiers. The total number of military personnel in the U.S. Army can be accessed here. The source doesn't provide information regarding the date of survey.